This light-filled home has been meticulously updated while maintaining its original character. It offers beautiful woodwork and built-ins, 2 sun rooms, custom eat-in kitchen, 4 renovated baths, multiple living spaces, large deck, newer boiler, central air, upgraded electric, walk-up attic, and hydronic in-floor heat in kitchen, bath, and lower level. The renovated lower level features a quartz kitchenette, marble steam shower, and fireplace. Walk-able to Lake Harriet, schools, and restaurants. I was searching for a Property and found this listing (MLS #5141476). I would like to schedule a showing for 4245 Aldrich Avenue S Minneapolis, MN 55409. Thank you! I was searching for a Property and found this listing (MLS #5141476). Please send me more information regarding 4245 Aldrich Avenue S Minneapolis, MN 55409. Thank you! 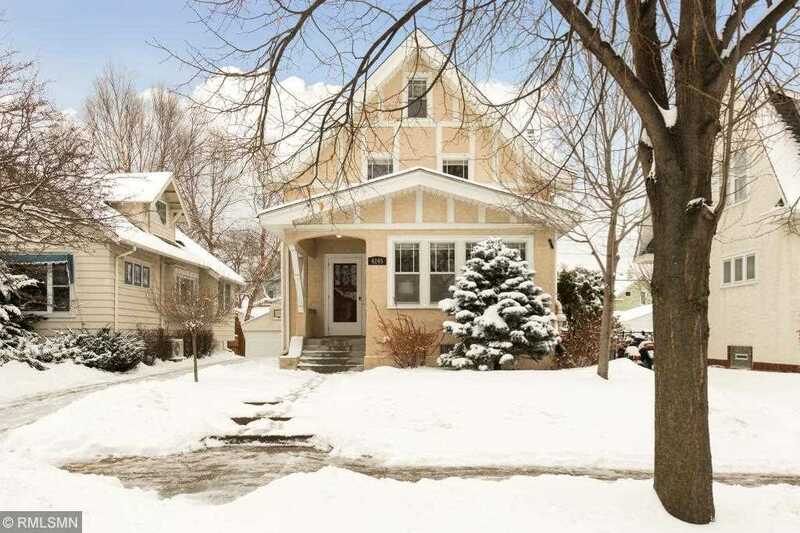 MLS® 5141476: This property at 4245 Aldrich Avenue S, Minneapolis, MN 55409 is located in the East Harriet subdivision and is listed for $575,000. MLS® 5141476 has been on the market for 32 days.